Gizmodo is a design, technology, science and science fiction website. It was originally launched as part of the Gawker Media network run by Nick Denton, and runs on the Kinja platform. 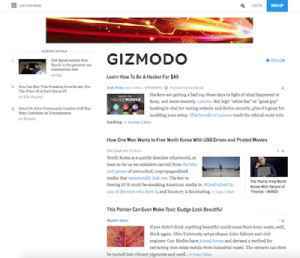 Gizmodo also includes the subsite io9, which focuses on science fiction and futurism.